In the crazy holiday season remember to shop at your local retailers. 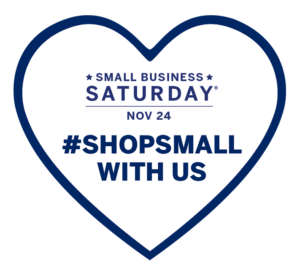 Saturday, November 24 is Small Business Saturday. 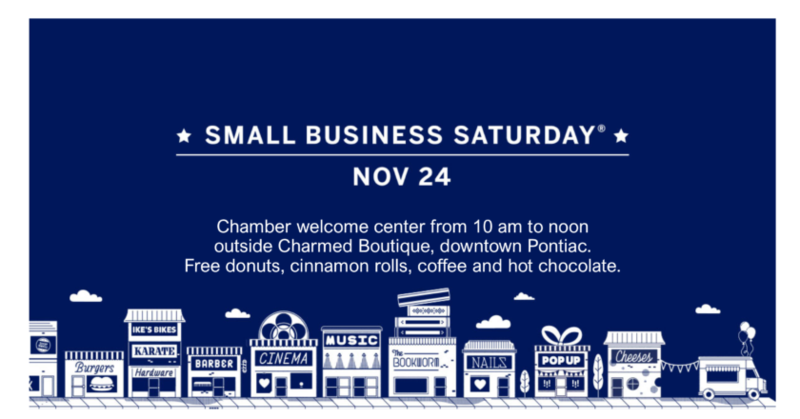 Come out to downtown Pontiac from 10 am to noon and enjoy free donuts and cinnamon rolls from Pfaff’s Bakery, coffee from The Cup & The Scone, along with some delicious hot chocolate. The welcome center will be stationed outside Charmed Boutique. Make sure to stop by our new retailers such as Tattered Wings, Aleena’s Bath & Body Boutique, The Little Red Barn, The Modern Smithy and Nola + Kennedy along with our stalwarts such as Home Wishes, Hustedt Jewelers, PK UnKorked, Route 66 Kites, Frugality, Wright’s Furniture, Charmed Boutique, Once ‘N Again, The General Store, and Pontiac Community Art Center. As you are out and about over the weekend, make sure to stop by our local restaurants for some rest and sustenance. 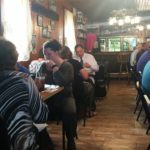 Check out Baby Bull’s, Cafe Fontana, Monical’s Pizza, McDonald’s, Route 66 Nutrition, DeLong’s Casual Dining, Edinger’s Filing Station, Pontiac Family Kitchen, Dairy Queen, and Old Log Cabin! The Jack Frost Jackpot has come to an end for 2018. 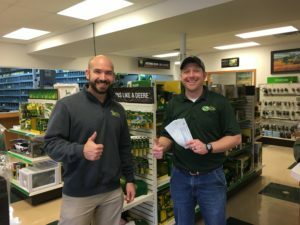 Congratulations to Ryan Myers, the winner of $1,000 in chamber gift certificates! 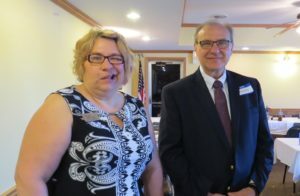 Myers (right) works at KSR in Pontiac and is pictured below with Paul Kelly (left), chamber board member. 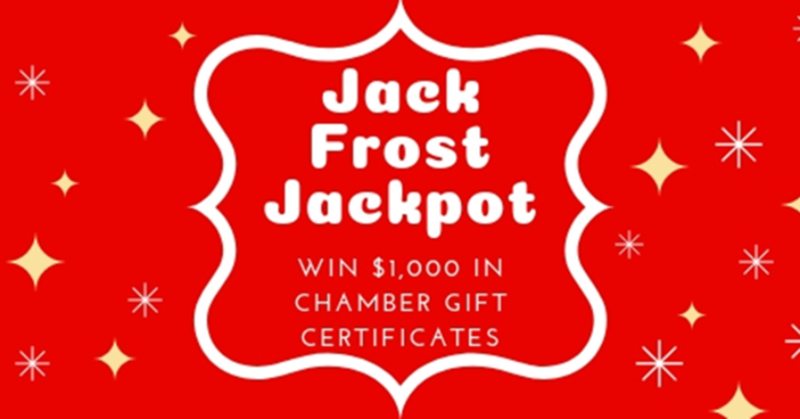 The Chamber is excited to kick off a new holiday raffle, the Jack Frost Jackpot! 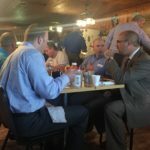 One lucky winner will receive $1,000 in Chamber gift certificates – good at more than 200 business in the Pontiac area. Ten second place winners will each receive $20 in Chamber gift certificates. Don’t delay in purchasing your tickets! Quantities are limited so visit the office staff or see a board member to get yours today. $20 per ticket. Only 200 tickets will be sold. Qualified to join are all those who have purchased and paid their ticket/s within the selling period. All raffle stubs should be legibly filled out with complete name, address and phone number. Tickets are available for purchase between November 7 and December 12, 2018. Winner will be drawn live on WJEZ radio on Friday, December 14. Purchase your raffle ticket from any Chamber board member or at the Chamber office. 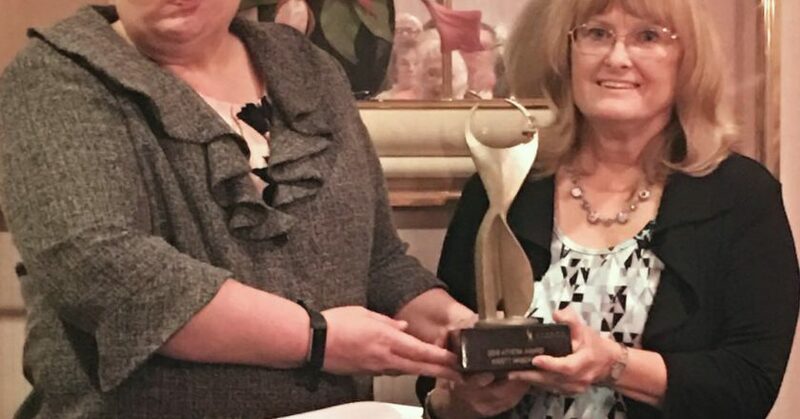 This year’s ATHENA Award Luncheon honored Livingston County Clerk and Recorder, Kristy Masching. 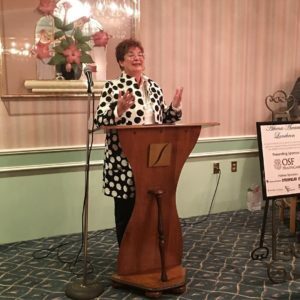 Masching has been an integral part of civic life here in Livingston County for over 15 years, and the results of the recent election mean she will continue to serve the County for more years to come. and in particular, the way that local leaders influence education. 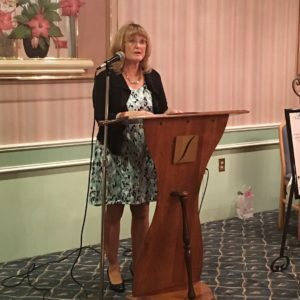 She was followed by Cathi Coppinger of WJEZ who introduced the Margo Kennedy Memorial Scholarship, in honor of the late Margo Kennedy. 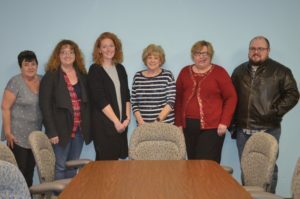 The scholarship will be used to fund education for non-traditional female students. Contact the Chamber for more information or to make a donation. 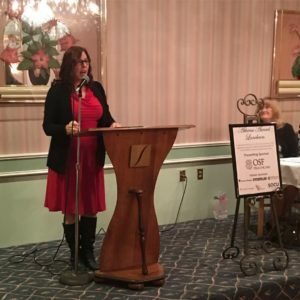 The event closed with Mindi Terrell’s introduction of Masching and Masching’s words on her career in Livingston County. 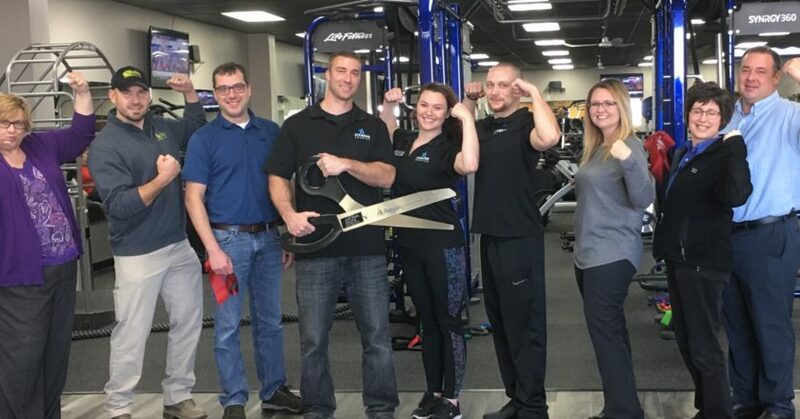 We’re proud to have you in our community, Kristy! Thanks for being a local leader. 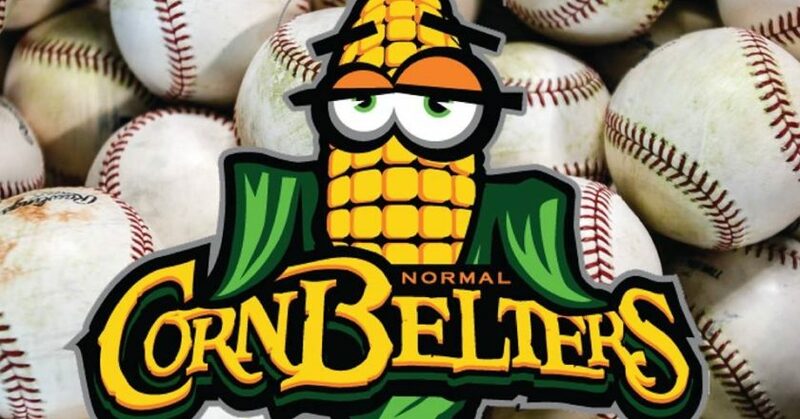 Get your tickets for the Pontiac Night at Cornbelters! 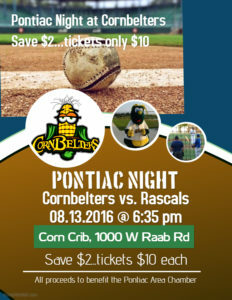 Tickets are only $10 and can be purchased at the Pontiac Area Chamber of Commerce at 210 N. Plum St.
Cornbelters vs. Rascals is on August 13, 2016 at 6:35 pm – 8:35 pm at the corn crib at 100 W. Raab Rd. All proceeds go to benefit the Pontiac Area Chamber of Commerce. 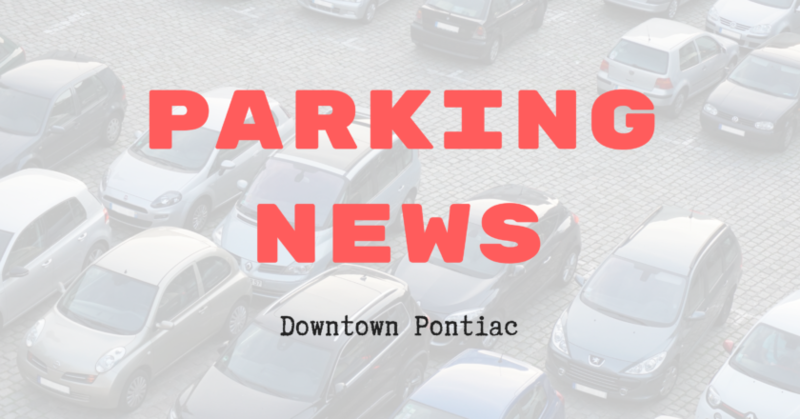 For more information call 815-844-5131 or stop by the Pontiac Area Chamber during their business hours of Monday – Friday 8 am – 5 pm. 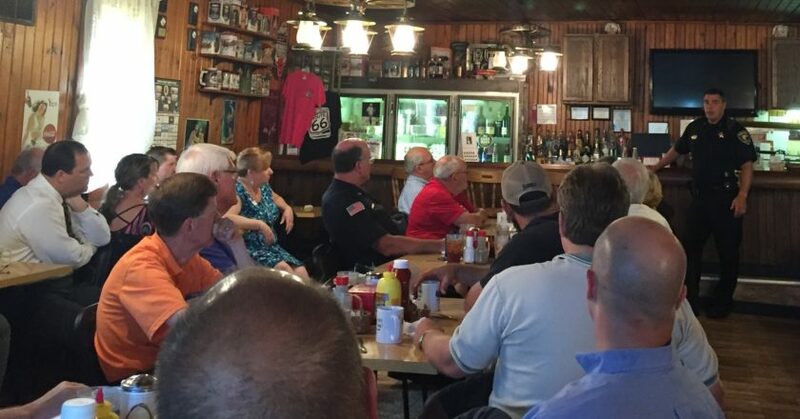 The tornado the night before didn’t stop Police Chief Woolford from talking at Issues & Eggs this morning. 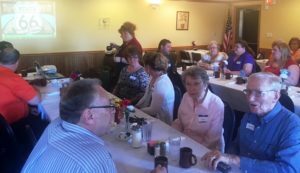 He shared with the group of more than 30 people news from the tornado. Most of the damage was done to businesses, but a few people were hurt and were being treated. Heller Motors, Super 8, Baby Bull’s Travel Center, BP, Shell and Wal-mart were among the businesses damaged. The Rec Plex was also hit. Fences are down and a small building is gone. 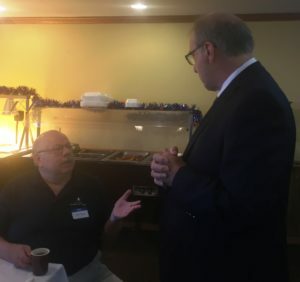 He also talked about a new program called Safe Harbor, which is to begin on July 1. The innovative program is directed at helping heroin addicts receive treatment for their addiction. 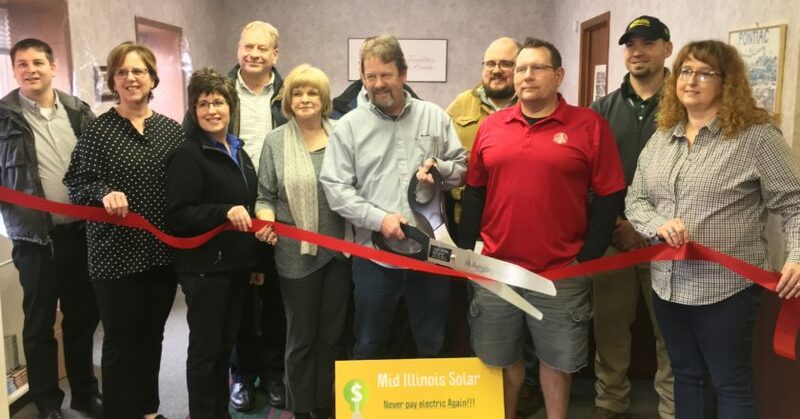 It is modeled after a program in Dixon, IL. Under the new program addicts can come to the police department, turn in their drugs, and get treatment immediately. That instant acceptance is crucial to recovery, but it often doesn’t happen as people have to wait for insurance approval. The police department is working with 12 recovery centers around the state to get people into treatment immediately. The program, which will have negligible costs, will hopefully make the job of the Pontiac police easier when dealing with the opiate crisis. 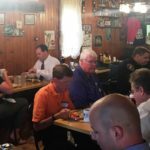 Chief Woolford stated that the police department responds to several opiate overdoses every week and that the problem is across all age groups. 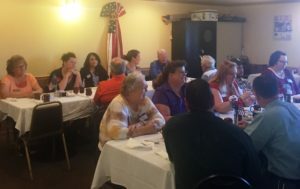 Fifty people turned out to hear Bob Karls share the State of the City of Pontiac on May 25 at Pontiac Family Kitchen. 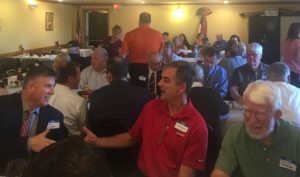 He shared the current struggles with the unfunded pensions for the police and the fire department. 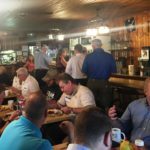 This is a problem that is felt by neighboring municipalities such as Streator, Normal and Lincoln. The Ladd Street railroad crossing is the last to be updated in preparation for high speed rail. The crossing may need to be closed for several months. 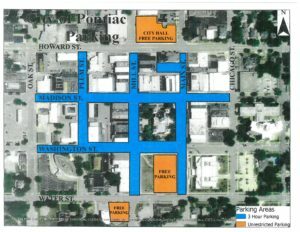 The city remains committed to the development of downtown Pontiac and has several retailers interested in opening stores on the square. 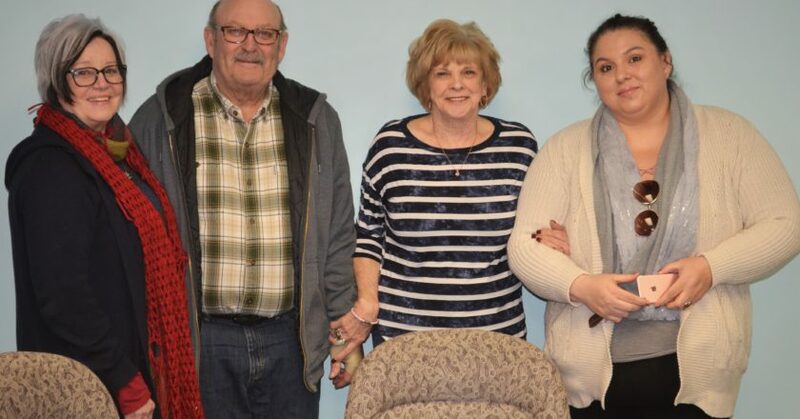 The Pontiac Municipal Band will have it’s inaugural performance on Friday, June 3 at the Judy McGlasson-Humiston Riverside Performing Arts Center. Karls also shared photos of the the gilding at the Eagle Performing Arts & Conference Center. Guilders spent six days adding the gold leaf to the stage area and lobby of the theater.